Struggling with the mundanities of life in an East Midlands market town. Bottling it all up and ready to explode. The quiet ones are the worst they say but there's nothing quiet about Saboteurs' outpouring of pent-up emotions. just can’t do trends. We end up chucking in elements from all manner of genres and smashing them together'. With in􀂧uences as diverse as New Model Army, Biffy Clyro, Neil Young and Thrice, Saboteurs' debut album, 'Dance With The Hunted', is due for release on 4 May 2019. And with a new rhythm section in place - Pete Botterill (drums) and Geoff Standeven (bass) - and Kirsty Marlog on backing vocals, the band will be hitting the road again with live dates across the UK. Two introverts struggling with the mundanities of life in an East Midlands market town. Bottling it all up and ready to explode. The quiet ones are the worst they say but there's nothing quiet about Saboteurs' outpouring of pent-up emotions on their debut LP, 'Dance With The Hunted'. The band's 2018 debut EP attracted a growing fan-base and recognition by BBC Introducing, Richer Sound's Artist of the Week and as finalists in Radio Wigwam's Rock Act of the Year. But shoulder surgery for their lead guitarist led to frustrations and a violent split with the rhythm section. With the pressure valve on their creative outlet closed off, the band's songwriters - Ben Ellis (vocals/guitars) and Rick Whitehead (guitars/vocals) - went into a dark place. But this became the catalyst for an explosion of new material. The opening track, Splintered, was written soon after and it shows: 'The shame will never end but I'm coping on my own. The ones I left behind - they just fade out'. In Over and Doubt, the chemistry between the songwriters becomes clear, 'This suffering will bind us to the end'. And it's a curious bond. The first four tracks juxtapose Whitehead's guitar-driven riffs with Ellis' melodic vocals and acoustic - contrasting styles glued together by the relentless pounding of drummer, Hamish Dickinson (who also produced the album at Phoenix Sound). There's no let up with the soaring chorus of I Think My Face Hates Me or the brooding title track, Dance With The Hunted. There's no shortage of surprises either - from the acoustic led Break Down to the nu-metal screaming on Traces. And by the time it's all wrapped up in the thumping dystopia of Marooned, you're left wondering what it's all about but let it repeat. And repeat again. 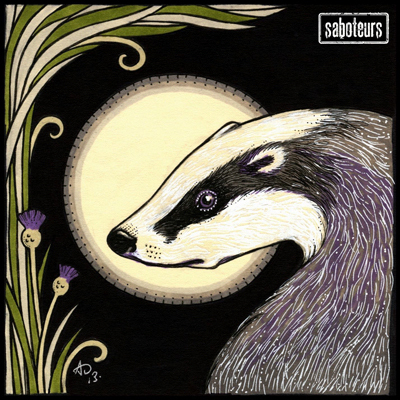 With influences as diverse as New Model Army, Biffy Clyro, Neil Young and Thrice, Saboteurs' debut album, 'Dance With The Hunted', is due for release on 4 May 2019. 'We just can’t do trends. We end up chucking in elements from all manner of genres and smashing them together'. Well, it works. And with a new rhythm section in place - Pete Botterill (drums) and Geoff Standeven (bass) - the band will be hitting the road again with live dates across the UK. 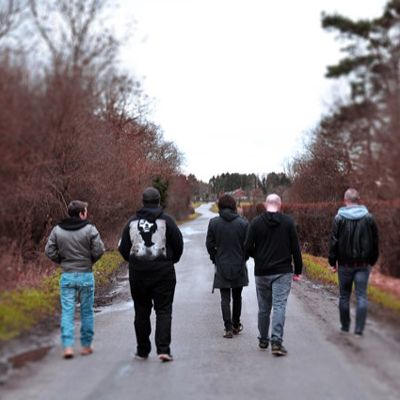 The band's 2018 debut EP attracted a growing fan-base and recognition by BBC Introducing, Richer Sound's Artist of the Week and as finalists in Radio Wigwam's Rock Act of the Year. From the gothic post-punk splendour and dark, foreboding rock of 'Nobody Knows Me Like You' , to the haunting slow-burn of 'Coraline', Saboteurs manage somehow to transcend genres. The juxtaposition stems from the contrasting styles of songwriters Ben Ellis (vocals/guitars) and Rick Whitehead (guitars/vocals). 'We just can’t do trends. We end up chucking in elements from all manner of genres and smashing them together'. 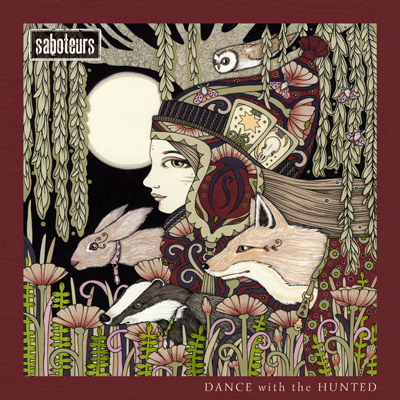 With influences as diverse as New Model Army, Biffy Clyro, Neil Young and Thrice, Saboteurs' debut album, 'Dance With The Hunted', is due for release on 4 May 2019.